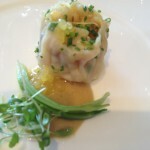 Chenin Blanc is unique in its drinkability and diversity, ideal for food and wine pairing! 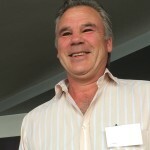 On Tuesday I attended the Chenin Blanc Association Winter Showcase at Delaire Graff Estate, and was reminded by the association chairman Ken Forrester, a passionate champion for the varietal, that Chenin Blanc’s unique attributes are that it comes in a diversity of styles, and that it is the wine that can be paired with the largest range of foods. Interesting consumer research was presented at the previous Showcase, highlighting that our country’s largest grape variety is not well known at all by local wine drinkers. 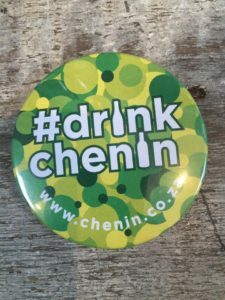 The Chenin Blanc Association is focusing on changing the low level of awareness about the varietal, in hosting bi-annual showcases of Chenin Blancs which are more suitable to drink in summer (light, fresh and fruity), and those that are better suited to winter (rich and fuller). 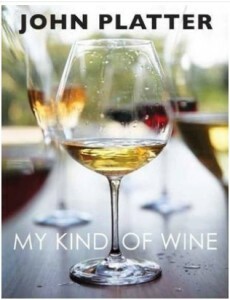 Another goal the association has is to see more restaurant wine lists feature a Chenin Blanc category with a number of different options, instead of this varietal being lumped into an ‘Other/Blend’ category. The association is ably managed by Ina Smith. Ken explained the procedure for selecting the vast total of 26 Chenin Blancs we tasted, from the hundreds that are made in our country. 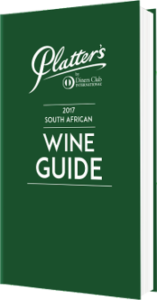 The 96 association members were invited to submit their wines, meeting the criteria of them being made from 30 year old bush vines or older, and having an alcohol content of 13,5 – 14,5%, which led to 30 entries being received. 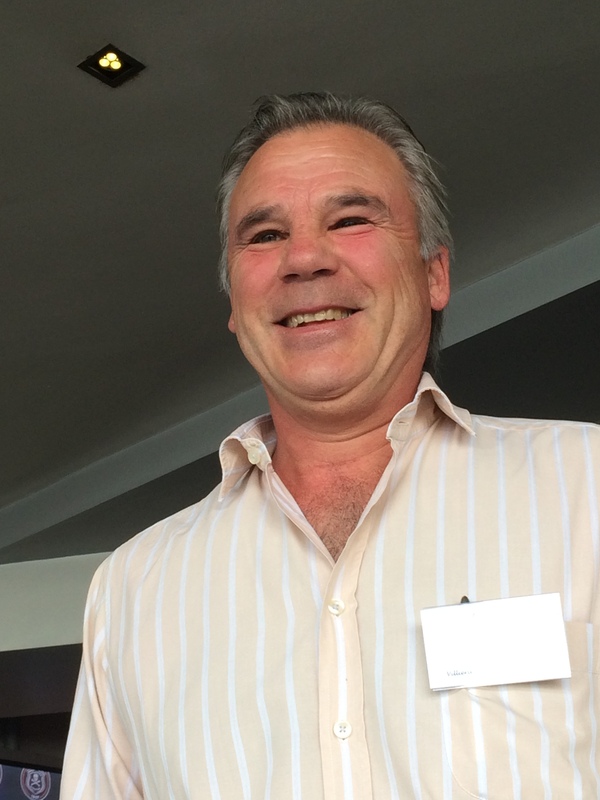 Jeff Grier from Villiera and Association Vice-Chairman, and Carel van der Merwe from De Morgenzon whittled the Chenin Blanc portfolio for the Winter Showcase down to 26 wines. 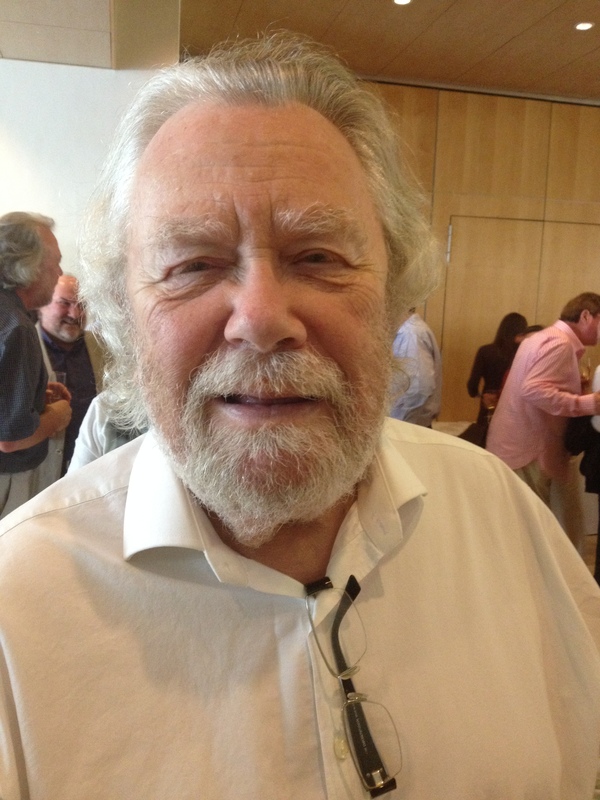 Grier led the tasting, which was held in the Delaire Graff restaurant, and he shared short notes about each of the wines, which were tasted in flights, it not being clear exactly what each of the seven flights had in common. 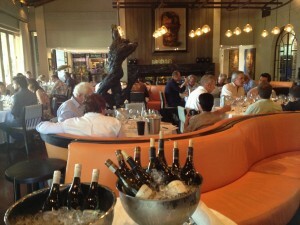 I shared a tasting table with Delaire Graff GM Johann Laubser, Ken, and Orielle Berry from Bolander. 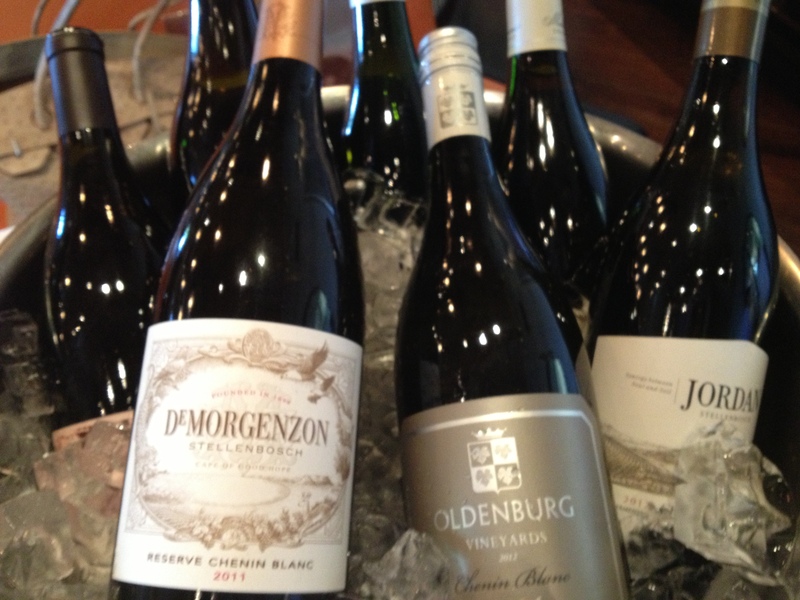 Our table particularly liked the De Morgenzon Reserve 2011, Tierhoek 2011 (grapes come from the Piekenierskloof area, also the area from which the Botanica chenin grapes are sourced), and Mullineux White Blend 2012 (with Viognier). Other Chenin Blancs we tasted included AA Badenhorst Secateurs 2012, Simonsig ‘Sur Lie’ 2012, Doran Vineyards Barrel Fermented 2012, Nederburg The Anchorman 2012, Spioenkop ‘1900’ 2011, Beaumont Hope Marguerite 2012, Graham Beck Bowed Head 2011, Sijjn 2011 (made by David Trafford), Joostenberg Fairhead 2010, Oldenburg 2012, Jordan 2012, Kleine Zalze Vineyard Selection Barrel Fermented 2012, Delaire Graff 2012, Diemersfontein Carpe Diem 2011, Bellingham The Bernhard Series Old Vine 2011, Spier 21 Gables 2011, Stellenrust ’46’ Barrel Fermented 2010, Cederberg Five Generations 2010, The FMC 2010, Kanu Kia-Ora Noble Late Harvest 2010, and Villiera Inspiration Noble Late Harvest 2010. 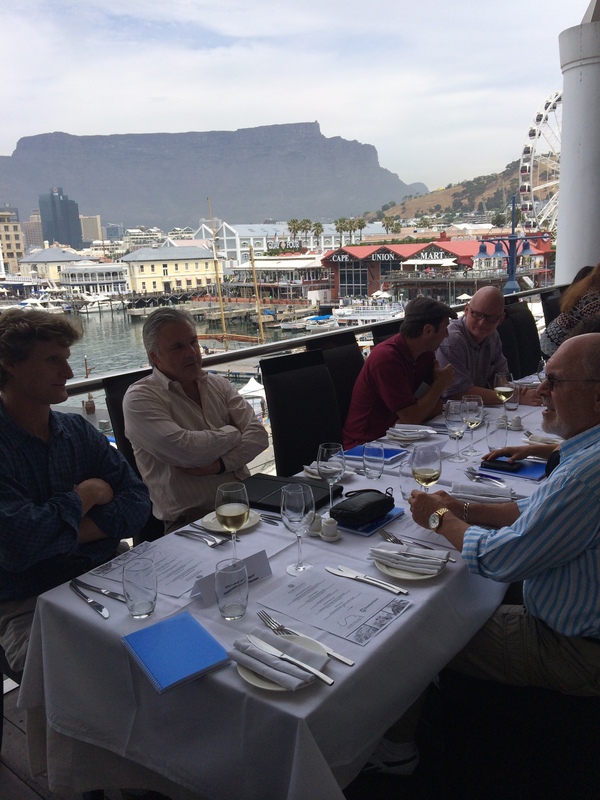 What was impressive is that so many of the top winemakers attended the tasting too, including Andrea Mullineux, Razvan Macici of Nederburg, Erika Obermeyer from Graham Beck Wines, David Trafford, Bruwer Raats, and Kathy Jordan. 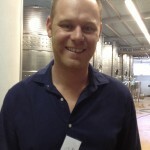 De Morgenzon uses cement eggs for its Chenin Blanc production, these fermentation and maturation vessels having been developed in France twelve years ago. 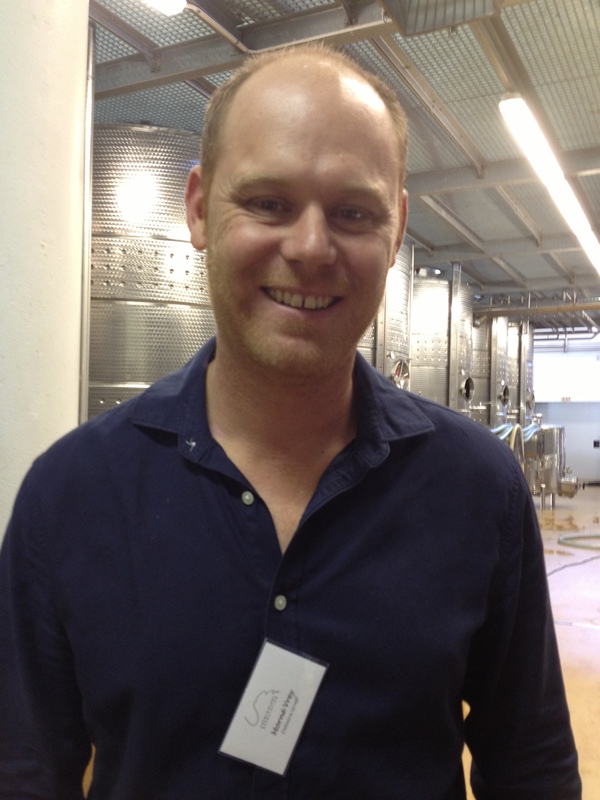 Eben Sadie was the first South African wine maker to introduce cement eggs locally, and now they are also used by Boekenhoutskloof and Hamilton Russell. 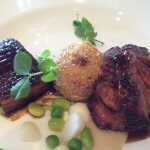 Ken explained that winemakers follow trends too, and cement eggs are one of them. Ken spoke about winemaking, and shared that one must make wine that the customer enjoys, even though it is not always the winemaker’s taste. To get to Indochine, the Asian fusion restaurant at Delaire Graff, we took a short cut through winemaker Morné Vrey’s cellar, and passed Chef Christiaan Campbell’s vegetable garden. 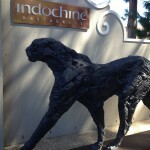 Indochine is in the Delaire Graff Lodge & Spa building, set back from the main restaurant. The entrance is ‘guarded’ by two Dylan Lewis cheetahs, and there are more on the lawn outside the restaurant. The Lodge interior is dominated by art of the same contemporary artists whose work is in the main restaurant building, including Lionel Smit, Anton Smit, and Deborah Bell. The restaurant seats about 40 patrons, and it has a view over Stellenbosch on a clear day. It has the most impressive work of art by Lionel Smit and Andre Stead on the ceiling, called ‘Flight of the Swallows’. 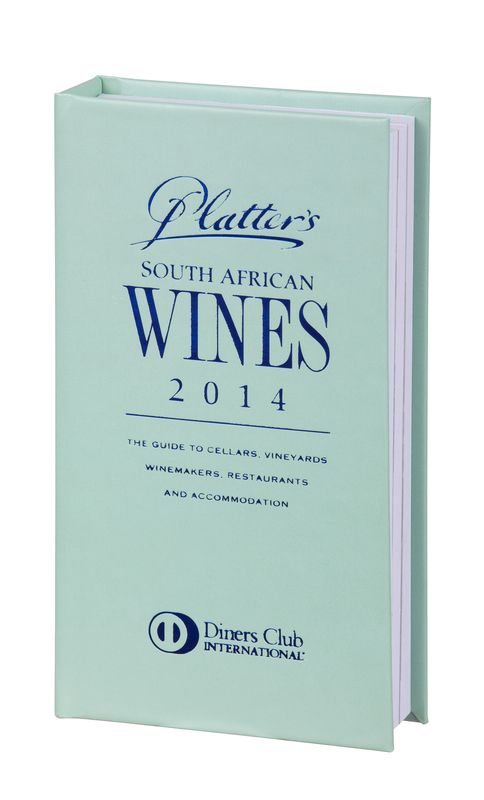 The colour scheme is blue, reflected in the leather seating and the very classy looking menu and winelist folder. 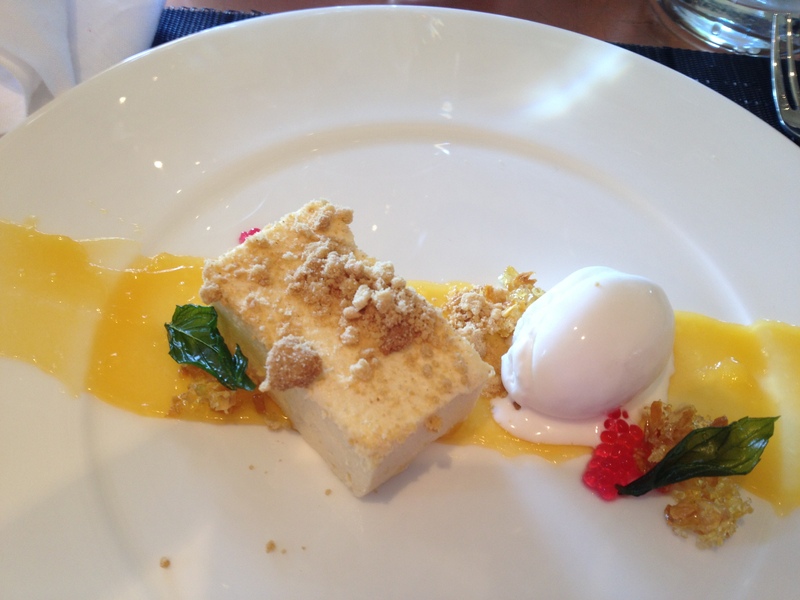 The chef is Virgil Kahn. The very efficient waiters brought fritters made from cabbage, fennel and spinach as well as bread crisps to the table, with a black bean and sweet soy sauce, spicy tomato relish, and cucumber and mint sauce. Johann Laubser and Delaire Graff winemaker Morné Vrey were also at the table, and I asked Morne how the Showcase would influence his Chenin Blanc wine making. 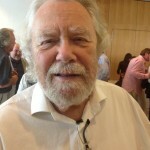 He said that he had learnt a few things he may try for the next vintage, and it had set a benchmark, but it had also helped him to define what he would not do in his Chenin Blanc making. Johann shared that Africa’s first Graff diamond store will open in the main Delaire Graff restaurant building in September, and it is being designed by the international interior designer of all Graff stores. 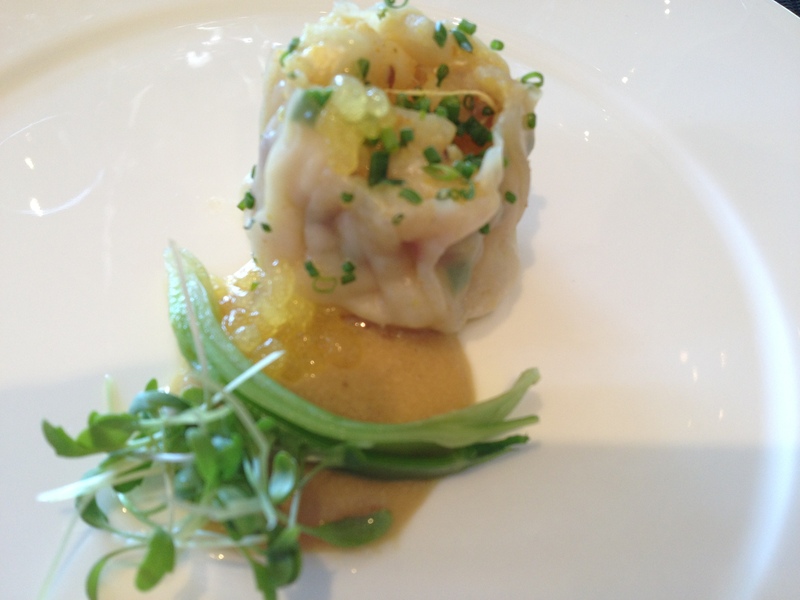 The amuse bouche was an unusually presented kingklip su mai (dim sum) with a gengati gel, and a citrus and fennel emulsion, a simple fresh start to the meal. 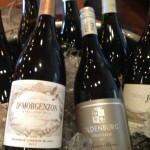 The wine stewards and waiters offered the guests a continuous choice of the Chenin Blanc wines we had tasted. 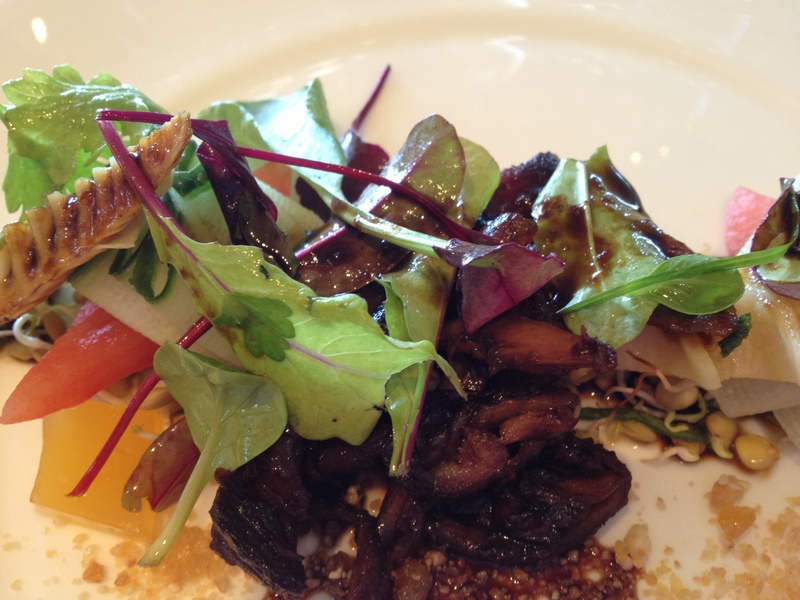 The Thai Duck starter, with pickled radish, bamboo, the most delicious cashew nut brittle, and orange, was the favourite course of many guests. 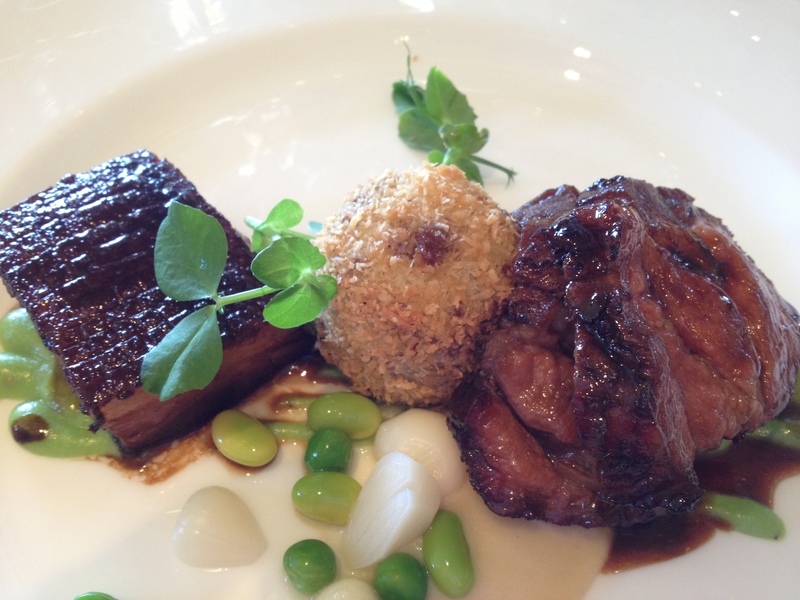 The main course is one of the signature dishes of the restaurant, being the 7 Thai spice pork belly served with edamame beans, pickled garlic, and red pepper. 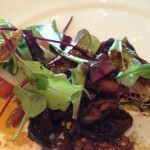 An interesting looking and very tasty black rice was served with the pork. 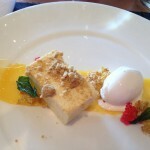 The dessert was a colourful mango parfait served with passion fruit, rose water ginger crumble, and raspberry. 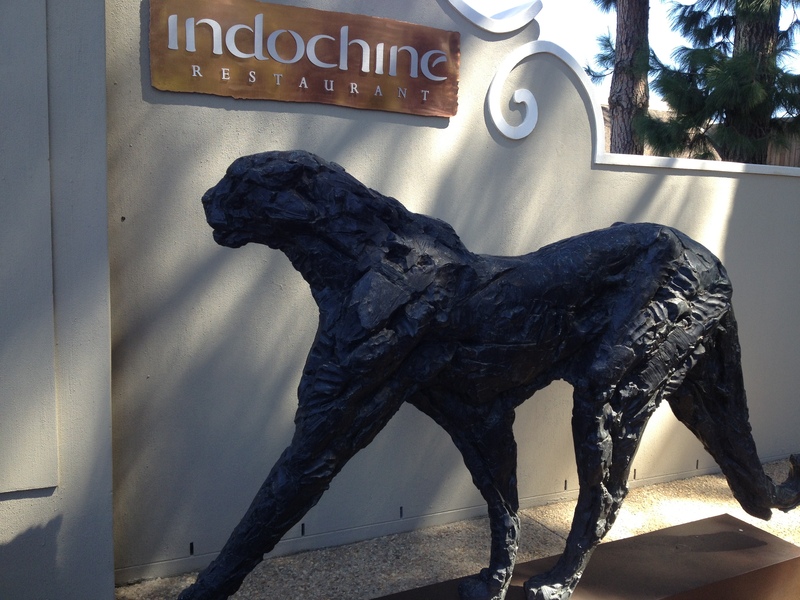 Most of the wine writers and wine makers had not been to Indochine before, and expressed how impressed they were with the restaurant and its good service. 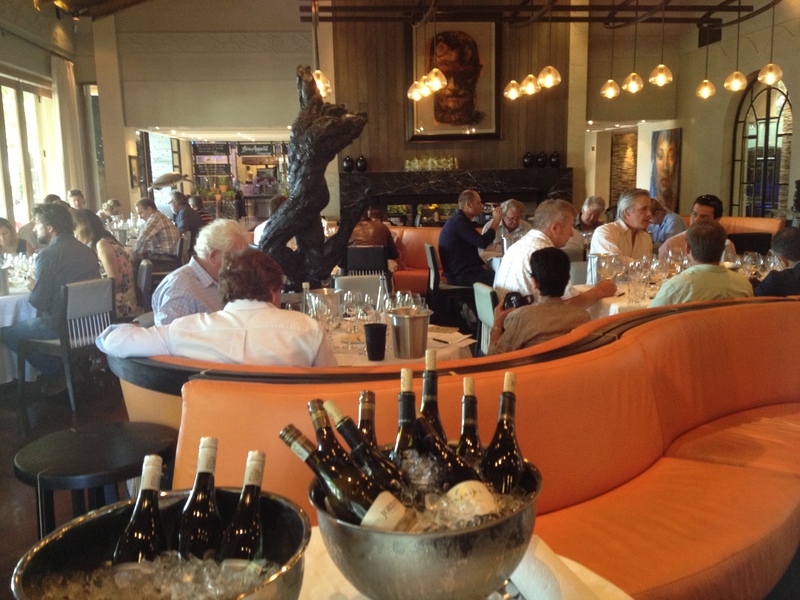 Both the Chenin Blanc Association and Delaire Graff were gracious and generous hosts, and Ken thanked all involved for a fabulous event. 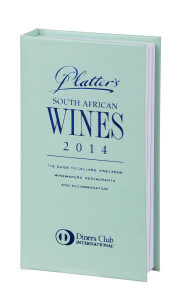 Disclosure: We received a bottle of Tierhoek Chenin Blanc 2011 with our media pack. My son is the Manager of Indochine.